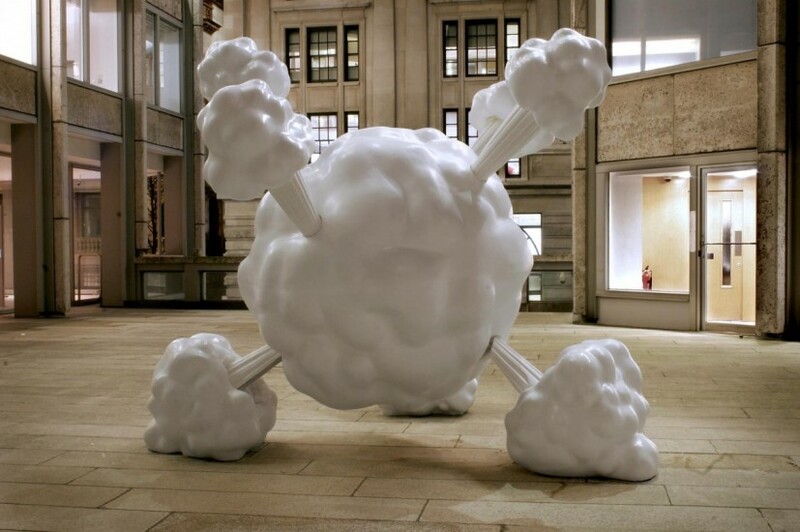 Marking his first commissioned installation for an exterior site in London, Matt Franks, never shy of Bernini-like Baroque theatricality and dramatic comic-book humour, has created a sculpture of a giant white explosive cloud with smoke puffs bursting from its core. Measuring 3m x 3.5m, Fooooom!!! 2007 dominates the Plaza with playful bravado. Heralding a new development for Franks, who has until now primarily created indoor sculptures carved from Styrofoam, Fooooom!!! 2007 has been reinforced with polymer plaster. Coated with a slick glistening finish of interference (car) paint, the cloud shimmers as it catches the light, enhancing its sugary kitsch quality reminiscent of fairground rides and carnival props. 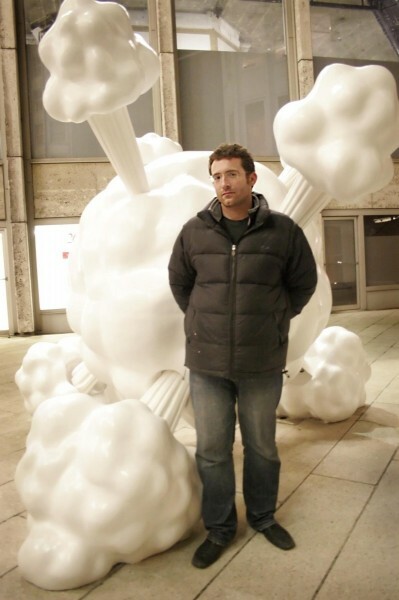 After graduating from Goldsmith’s College with an MA Fine Art in 2000, British artist Matt Franks enjoyed early success with a solo show at Tate Britain’s Art Now space (2002). Recent international touring exhibitions in 2006 include: Metropolis Rise: New Art from London, 2006 (Shanghai and Beijing) and 8x8x8, The Soap Factory Minneapolis (Minneapolis, London and New York). 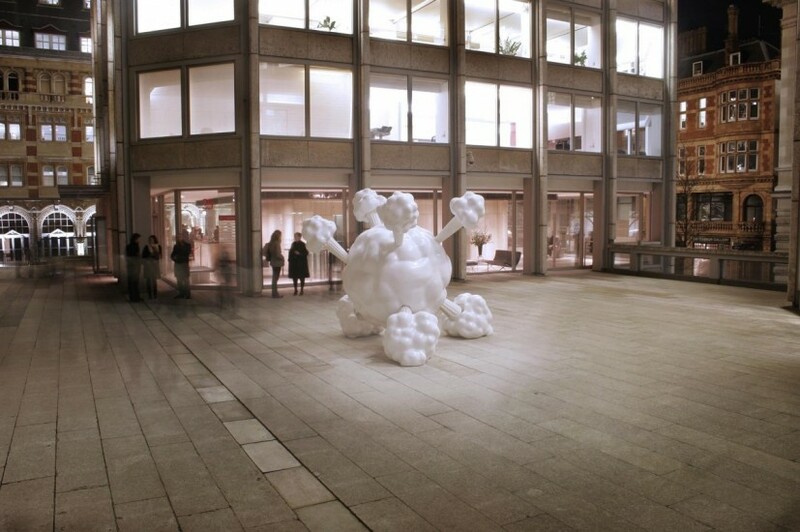 Recent group shows include Contemporary Art Society’s ARTfutures 2007, Bloomberg SPACE, 2007. 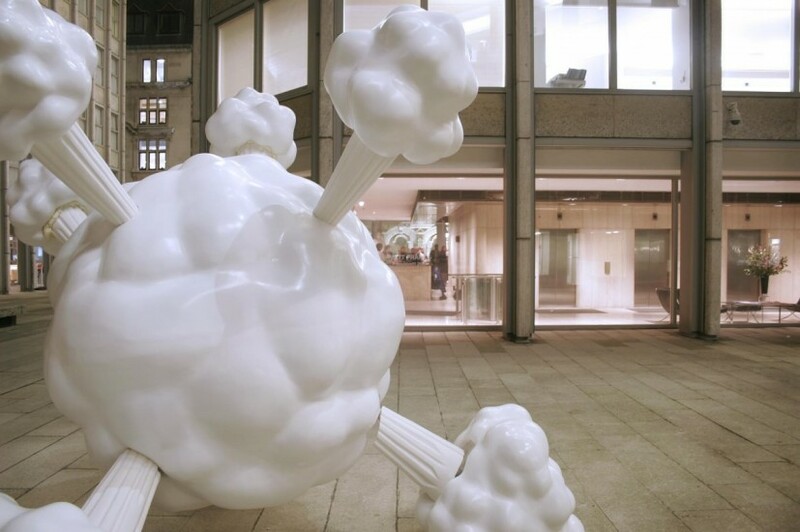 Matt Franks is represented by Houldsworth Gallery, London.